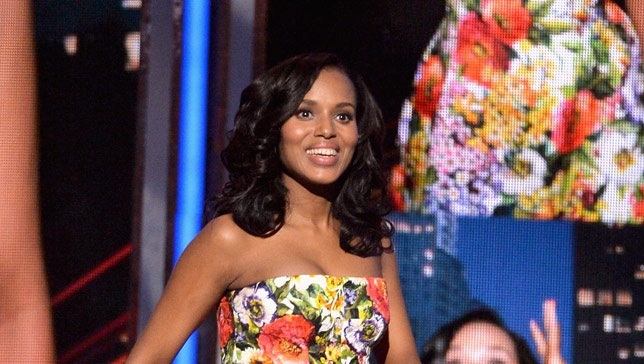 Los Angeles - Kerry Washington admits working on Scandal was "tough" while she was pregnant. The 37-year-old actress, who gave birth to her first child, Isabelle Amarachi Asomugha, with husband Nnamdi Asomugha in Los Angeles in April, stars as Olivia Pope on the ABC drama and struggled to cope with the physical challenges of the role during the third season. The Emmy-nominated star told The Hollywood Reporter: "All of last season was a challenge for me, on a few levels. For one thing, I was going through this amazing physical transition, this physical journey of having a baby, that my character was not going through. And I work very physically. What I do is often grounded in the body." She added: "That meant I had to figure out how to be this woman while my instrument was changing and evolving every day. It was like seeing the keys on a piano jump around on a daily basis. It was tough for me to even maintain Olivia's walk because of the changes, but Kerry still believes that her pregnancy made her a better actress." She said: "The season really broke me. I'm a Type A actor who likes to have it all figured out going in, but suddenly I had no idea where this woman was going to go next. I had to jump in without everything being perfect." Washington went on to say, i felt like I had been in control playing the character, but it all got taken away from me last season. That meant my acting toolbox had to be upgraded. I had to trade in my screwdriver and hammer for a Black and Decker power tool."